-What are the Green Bay Booyah office hours? -When can I pick up my Will Call tickets? -When do kids need a ticket? -What time can I get into the stadium? -What can and cannot be brought into the stadium? -Can I bring a concealed weapon into the Booyah office? -Does the Booyah have a Lost and Found? -How can I pay at the ballpark? -What level of baseball are the Green Bay Booyah? -How to schedule a mascot appearance at your next big event? -What are your terms, conditions and delivery for online purchases? What are the Green Bay Booyah office hours? –What happens in the event of a rainout? In the event of inclement weather, the best place to find out if the game has been cancelled or postponed is on our website at www.booyahbaseball.com. If we need to cancel a game, we’ll immediately put a story on the website describing any details of when the game will be rescheduled and how to redeem your tickets. We will also update the office voicemail message to explain the weather and its effects on the game. If a game is rained out prior to the conclusion of the 5th inning, all tickets for reserved seats can be redeemed at the ticket office for any other game remaining in the 2019 regular season. If a game is rained out prior to the gates opening, all tickets can be redeemed at the ticket office for any game remaining in the 2018 regular season, based on availability. If the rain out occurs three (3) hours after the gates have opened, regardless of how much of the game has been played, all Pre-Game Picnic and Party Deck tickets will be considered used in full and can only be redeemed for a reserved seat for another game during the 2019 regular season, based on availability. If the game is shortened due to rain but has been played beyond the required five (5) innings to make it a complete game, all tickets will be considered used and will have no value at the ticket office. If the game is shortened due to rain, the Booyah staff will attempt to contact all Pre-Game Picnic and Party Deck parties prior to them leaving the park that night. –What types of seating are available? 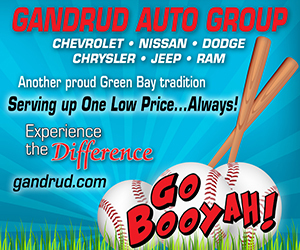 The Green Bay Booyah offer several individual seating and group options at the ballpark. Whether it’s a company outing of 1,000 people or a family of four we have the perfect seating options for you. For larger groups of 10 or more, contact the Booyah Office at 920.497.7225 or info@booyahbaseball.com. We also have all our hospitality information and pricing on the website. –When can I pick up my Will Call tickets? Tickets left at will call can be picked up anytime during the standard ticket office hours. For large orders, please call ahead and we’ll have your tickets pre-printed for you when you arrive. –When do kids need a ticket? Children 5 and younger will gain admission to the ballpark for free, as long as they do not require a seat. –What time can I get into the stadium? The gates open up 60 minutes prior to the scheduled game time. –How do I redeem Vouchers and Coupons? The voucher is a coupon good for any game during the 2018 regular season. It is NOT an actual ticket. Your coupon must be redeemed at the Booyah ticket office anytime after April 27th, 2018 for an actual game ticket to the game of your choice. –What can and cannot be brought into the stadium? Fans can bring blankets, umbrellas and seat cushions. Note: Booyah reserve the right to check bags. –Can I bring a concealed weapon into the Booyah office? No. The Booyah policy is that no guns/weapons are allowed in the Booyah office. Even fans that have a Conceal and Carry Permit may NOT bring weapons into the Capital Credit Union Park baseball buildings. –Do the Booyah have a Lost and Found? Lost and Found is available during games at Booyah ticket office. If you have any questions or need immediate help, call the Booyah Front Office at 920.497.7225. –How can I pay at the ballpark? At the ticket window, the Green Bay Booyah accept cash, credit card (Visa, Master Card, Discover, and American Express) or check. Inside the ballpark, credit cards are accepted at the Booyah Team Shop within the park. For all other purchases, cash is required. –What level of baseball are the Green Bay Booyah? 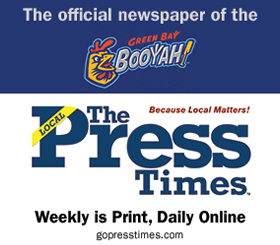 The Green Bay Booyah are one of 22 members of the Northwoods League. The Northwoods League is the largest summer collegiate league in North America, which provides a place for the best college players in the country to spend their summers and display their talents to professional scouts. Every player in the league must be enrolled in college and have at least one year of athletic eligibility to participate in the league, and due to NCAA regulations, the players cannot get paid while playing in the Northwoods League. 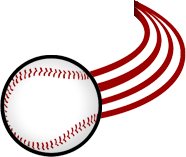 The league is designed to give college players an experience similar to minor league baseball. They play 72 games between the end of May and middle of August with playoffs to follow, using wood bats and traveling to play opponents around the Midwest on charter buses. –What are your terms, conditions and delivery for online purchases? All merchandise items purchased are not refundable. Unused or unworn items can be exchanged for equal or lesser value. Please allow 1-2 WORKING days for processing of your order in addition to shipping day. Depending on the method of shipment chosen and the time your order was placed, you should expect to receive your order with 1-14 working days. If you absolutely have to have an item the next day, please email first to confirm availability. We thank you for your patience. As a secure, e-commerce-enabled website, credit card transactions are our only accepted forms of payment. All online orders will be confirmed via email within one hour if an accurate email address is supplied at time of purchase. Shipments will be confirmed via email within 12 hours if an accurate email address is supplied at time of purchase.